Clown Tom Bolton can be booked for Christmas parties and events, New Years Eve or any special occasion. His unique style of show fits to any season. 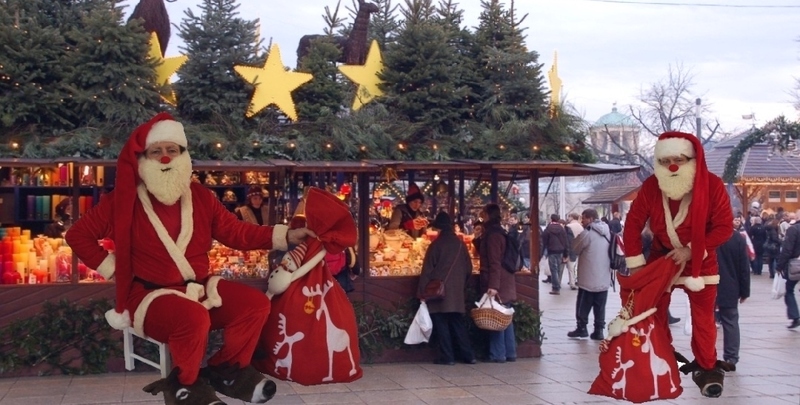 Tom’s „Santa Clown“ character is perfect for Christmas-markets, either outdoors or in shopping-centers or department stores. The comedy Santa strolls around with his crazy baby-carriage (decorated in Christmas motif) or large gift sack which is full of funny objects which he uses to interact and amuse the public. He plays with every situation, inspecting people’s purchases etc. This Santa gives the priceless gift of laughter, warming the hearts of kids and adults even by cold weather. Tom can either come in a more traditional Santa costume or the clownish version with a martial arts belt around his waist and the Rudolph the red nose reindeer slippers. If desired he can also add some juggling and /or unicycling to his routine, which always grabs attention. Even for Christmas time Tom’s normal full length show program is often desired. To do this it is best in his normal costume as the Santa costume get hot and is restrictive. This fits better to short routines or the strollng act. Rather than strolling around, Tom can also offer balloon-twisting. 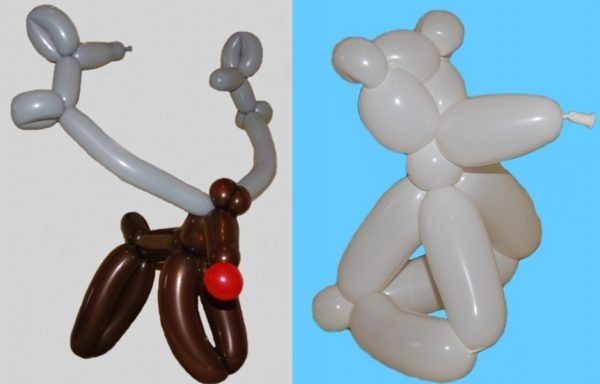 Especially fitted to the holiday season are the popular polar bear balloon or the Rudolph reindeer balloon with a real red nose! Or if desired, Tom can make his usually assortment of balloon animals, flowers, hats etc. Tom can do the balloon modelling in his normal costumes or in his comedy Santa Clown outfit as desired.